Many of my clients ask me Is yelp free for Businesses, How to create Yelp Business account or about Yelp claim Business or Add Business to Yelp. 2) Now at the search bar, search for the location and the business which you have. Suppose you have a restaurant in New York, than search for New York restaurants. There are other filters like neighborhoods, distance and price. 3) If you found your Business in the listing than too good, if not you need to add your Business Listing. 5) As you can see the options of country, Business Name, Address, city, state, zip and phone number and your Website. If you have your website it can really help you to grow your Local Business in United States of America. 6) You have to enter your details properly so that it will become easy for Yelp moderators to approve your Business Listings. As soon you complete the submitting the details, it will take 48 hours to get your Listings live on Yelp. The moderators will check and approve it. Enter the proper and correct details, mainly the contact information. People save the contact information if they love your Business. Yelp reviews can grow your Business rapidly. Some of them buy Yelp reviews and grow there Business 10x. Yelp Elite members are in demand, their reviews can help you a Lot. To become elite member Yelp account must be aged and Legit. You need a lots of friends and lots of real reviews. You must check in for which place you write a review. You need to share your real photos regularly, you need to vote for different reviews. Listing your Business on Local listings can really help you to boost your Business. Local clients are must for Local Business. 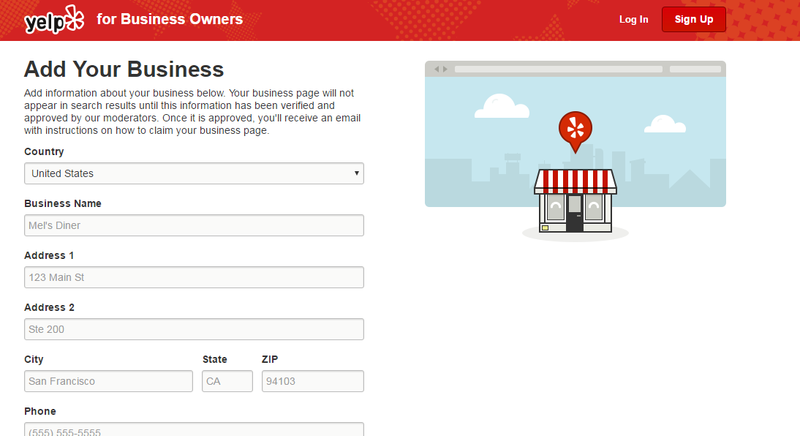 Now you Have the method so you can easily List your Business on Yelp or Add Business to Yelp.